The documents offer a previously hidden insight into efforts by the company to deflect the PR storm that engulfed it after the Nigerian activist was hanged by the country’s military government. Shell faced accusations that it had colluded with the government over the activists’ deaths. In June last year, the company paid $15.5m to settle a legal action over the deaths in a federal court in New York without admitting liability. It was one of the largest payouts agreed by a multinational corporation charged with human rights violations. The documents – which were part of this legal case but were never made public – describe the company’s “crisis management strategy and plan”. 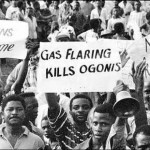 This was finalised by Shell’s senior executives at a secret meeting in Ascot in January 1996, two months after Saro-Wiwa’s death. The strategy was described as “most confidential”. In a similar move to Tony Blair’s re-branding of the Labour party, the executives considered renaming the oil company “New Shell” in an effort to shake off some of the recent bad publicity. Saro-Wiwa had been a vocal critic of Shell’s activities in the Niger Delta and of the Nigerian military government. His hanging 15 years ago on 10 November 1995 prompted international outrage and a public backlash against Shell. The executions led to Nigeria’s suspension from the Commonwealth for three years. Dividing NGOs into friends and foes, Shell emphasised the need to “work with [and] sway ‘middle of the road’ activists”. The Body Shop, Greenpeace and Friends of the Earth were seen as unlikely to change their position. 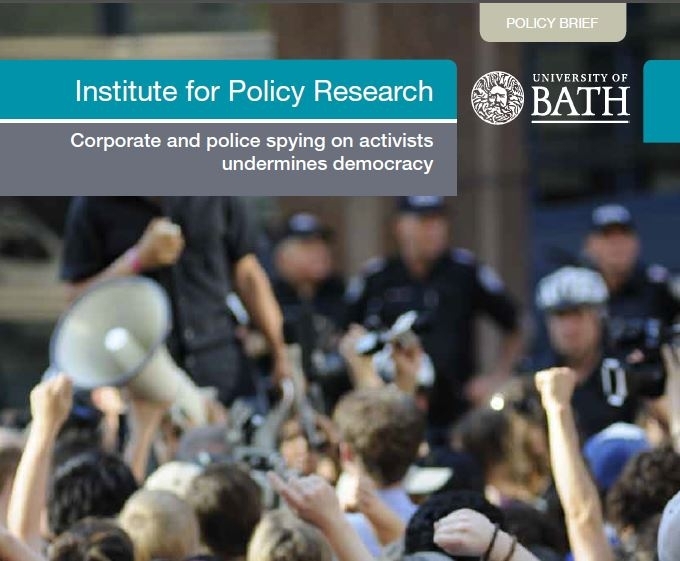 One suggested tactic to counter these organisations was to “challenge [the] basis on which they continue their campaign against Shell in order to make it more difficult for them to sustain it”. Human rights organisations such as Amnesty International and Human Rights Watch were seen as more easily persuaded. The document suggests building relationships with the organisations and encouraging “buy-in to the complexity of the issue”. Another key group Shell was interested in winning over was the press. The documents complain that the media was too willing to report the views of pressure groups. It wanted to generate media coverage showing ” ‘the other version’ of events/issues”. Other company documents identified which media outlets would be targeted. It said that “stable relationships” had already been established with the Financial Times, Daily Telegraph, Times, and the Independent. The BBC was one of the organisations singled out by Shell’s PR department. One of the documents reveal that “relationships are underdeveloped” with the BBC World Service. It continues: “We will identify and cultivate important editorial and senior management staff through a contact programme.” In particular they wanted to “build a relationship” with journalist Hilary Andersson, who had recently become the BBC’s Lagos correspondent, as well as “any of her known contacts in the divisions”. The documents also noted that “showing progress with the ‘greening of Shell Nigeria'” was “strategically critical” after Saro-Wiwa’s death. Although elsewhere, the documents acknowledge that the strategy may not be seen as genuine. “Our present communications strategy could be construed as green imagery” the authors wrote. To improve its green image, the company had to counter accusations of “environmental devastation”, so Shell planned to produce a video “to publicise successes” and “to turn the negative tide”. The most important topic to be included in the film was “oil spills generally, focusing on sabotage.” This would have had the effect of playing up the impact of illegal activity in causing oil spill pollution in the delta, but in another document, the head of Shell Nigeria, N A Achebe, had acknowledged internally that “the majority of incidents arise from operational failures”. A spokesperson said that the company’s environmental record had improved greatly in recent years. “The total number of spills in 2009 was 132, against the average between 2005 and 2009 of 175 per year. Thieves or saboteurs spilled about 103,000 barrels from [Shell Petroleum Development Company] facilities in 95 incidents – an average of one spill every four days. This accounted for almost 98% of the volume of oil spilled during the year.” The company declined to comment on its PR strategy in 1995. Martin Hogbin is a spy!